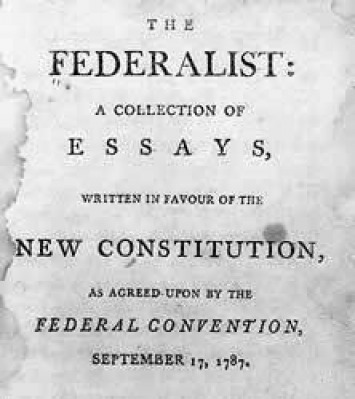 Federalist 32 - In Modern English | What Would The Founders Think? I think the risk of the State governments being controlled by the federal government as a result of the federal government’s being able to levy taxes is being over stated. The people are too smart for that, and well recognize the importance of local government. Nevertheless, I am willing to admit the soundness of the argument that the individual States should have an independent and uncontrollable authority to raise their own revenues for their own needs. Furthermore, I also affirm that ( with the sole exception of duties on imports and exports) they would, under the plan of the convention, retain that authority in the most absolute and unqualified sense. Any attempt on the part of the national government to abridge them in the exercise of this authority would be an exercise of power outside of anything stipulated in the Constitution. An entire consolidation of the States into one complete national sovereignty would imply an entire subordination of the parts; and whatever powers might remain in them, would be altogether dependent on the general will. But as the plan of the convention aims only at a partial union or consolidation, the State governments would clearly retain all the rights of sovereignty which they before had, and which were not, by that act, exclusively delegated to the United States. This exclusive delegation, or rather this alienation, of State sovereignty, would only exist in three cases: where the Constitution in express terms granted an exclusive authority to the Union; where it granted in one instance an authority to the Union, and in another prohibited the States from exercising the like authority; and where it granted an authority to the Union, to which a similar authority in the States would be absolutely and totally contradictory and repugnant. I use these terms to distinguish this last case from another which might appear to resemble it, but which would, in fact, be essentially different; I mean where the exercise of a concurrent jurisdiction might be productive of occasional interferences in the policy of any branch of administration, but would not imply any direct contradiction or repugnancy in point of constitutional authority. These three cases of exclusive jurisdiction in the federal government may be exemplified by the following instances: The last clause but one in the eighth section of the first article provides expressly that Congress shall exercise “exclusive legislation” over the district to be appropriated as the seat of government. This answers to the first case. The first clause of the same section empowers Congress “to lay and collect taxes, duties, imposts and excises”; and the second clause of the tenth section of the same article declares that, “no state shall, without the consent of Congress, lay any imposts or duties on imports or exports, except for the purpose of executing its inspection laws.” Hence would result an exclusive power in the Union to lay duties on imports and exports, with the particular exception mentioned; but this power is abridged by another clause, which declares that no tax or duty shall be laid on articles exported from any State; in consequence of which qualification, it now only extends to the duties on imports. This answers to the second case. The third will be found in that clause which declares that Congress shall have power “to establish an UNIFORM RULE of naturalization throughout the United States.” This must necessarily be exclusive; because if each State had power to prescribe a DISTINCT RULE, there could not be a UNIFORM RULE. Consolidating all the States into one integrated national sovereign government would imply that all of States were subordinated to it. Any power that might remain in them would be dependent on the general will. But since the proposed Constitution specifies only partial consolidation of power, the State governments would clearly retain all the rights of sovereignty which they had before, and which they did not exclusively delegate to the United States. Those powers exclusively delegated and set aside for the federal government’s authority are of three varieties. The first is where the Constitution expressly grants exclusive authority to the Union. The second is where it expressly prohibits the States from exercising a power similar to one granted the federal government. The third is the case where it would be contradictory and inconsistent to grant a similar authority to the States. In this last case I use the terms contradictory and inconsistent to distinguish it from where a shared power would not result in any direct contradiction or inconsistency with constitutional authority. These three cases of exclusive jurisdiction in the federal government may be exemplified by the following sections of the new Constitution. The first case is typified by Article 1, Section 8, in the next to the last clause, which stipulates that Congress shall exercise “exclusive legislation” over the district which will be set aside as the seat of government. The first clause in this same section provides an example of the next case, where the Constitution declares that “no state shall, without the consent of Congress, lay any impost or duties on imports or exports, except for the purpose of executing its inspection laws.” And so, this indicates an exclusive power in the Union to lay duties on imports and exports, with only the exception noted. This is ameliorated by the fact that in the next clause, the Constitution declares that no tax or duty shall be laid on articles exported from any State. The end result of this is that this power is effectively limited to duties on imports. Finally, the third case is demonstrated in the clause which states that Congress shall have power “to establish an UNIFORM RULE of naturalization throughout the United States.” Of course this is an exclusive power. How could it be otherwise? If each State were to come up with its own rule, then by definition they would not be uniform. Some might think that the power of imposing taxes on all articles other than exports and imports is a case similar to the last. In fact, it is nothing of the kind. Such taxation is obviously a concurrent and coequal authority vested both in the United States and the individual States. There is nothing whatsoever in the wording to suggest that this power is exclusive to the federal government. There is nothing that says this power is exclusively reserved to the Union, neither is there anything which says that the States cannot exercise this power. In fact, this can as much as be proved by noting the prohibition upon the States to levy duties on imports and exports. This restriction implies by its stipulation that, if it were not so specified the States would have this authority over taxation of imports and exports – just as they evidently have with all other varieties of taxation. It would be unnecessary to explicitly call out this taxation as an exeption, if in fact taxation as a whole were an exclusive federal power. In fact it could be dangerous to do so for then the federal government and the states would be at odds over taxation in general. Therefore, the states share a concurrent power of taxation with the Union in all cases in which the restriction does not apply. The restriction in question amounts to what lawyers call a NEGATIVE PREGNANT that is, a negation of one thing, and an affirmance of another; a negation of the authority of the States to impose taxes on imports and exports, and an affirmance of their authority to impose them on all other articles. It is hard to argue that the Constitution means to exclude them absolutely from the imposition of taxes of the former kind, and to leave them at liberty to lay others subject to the control of the national legislature. 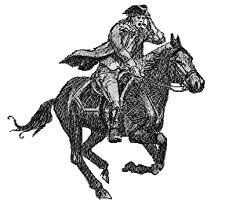 The clause only states that the States shall not, without the consent of Congress, lay such duties. When you put this together with the fact that import and exports are explicitly excepted and the implication that others are not, one ends up with a rather weird argument which goes something like this. If the States have to get a special dispensation to be allowed to do something that is explicitly prohibited, then the States can tax everything else but only through the jurisdiction of the federal government. If this were the case, then why not just make taxation a general power of the federal government? This is was obviously not the intention and the argument that it was, simply doesn’t hold water. The argument that having the power of taxation in both the Union and the States is inconsistent doesn’t make sense either. If this were inconsistent in general, then what would be the point of a particular exclusion? Just because an item is taxed by the states and a further tax applied by the federal government on the same item might make the product prohibitively expensive, doesn’t imply that further tax would be unconstitutional. It might not be smart, but that doesn’t imply a direct conflict of power. Both the federal and State governments might find themselves in the position of having to raise funds at the same time. Stuff happens. It is not the mutual exercise of powers that occasionally cause inconvenience which threatens the pre-existing rights of sovereignty, but the danger of constitutional inconsistency. The Constitution as a whole speaks to the concept of a division of sovereign power between the States and the federal government. Any power not explicitly divested by the States remains within the purview of the States. This is why the exceptions are called out where it just makes no sense for the States and the Federal governments to be at odds with one another. See the Article 1, Section 10 for just such an example. This should provide a clear indication of what was intended by those in Convention, and serve to support my arguments.